You were nervous there for minute, weren’t you? I know a lot of people who co-sleep: some by choice, others well….not so much by choice but necessity and exhaustion. 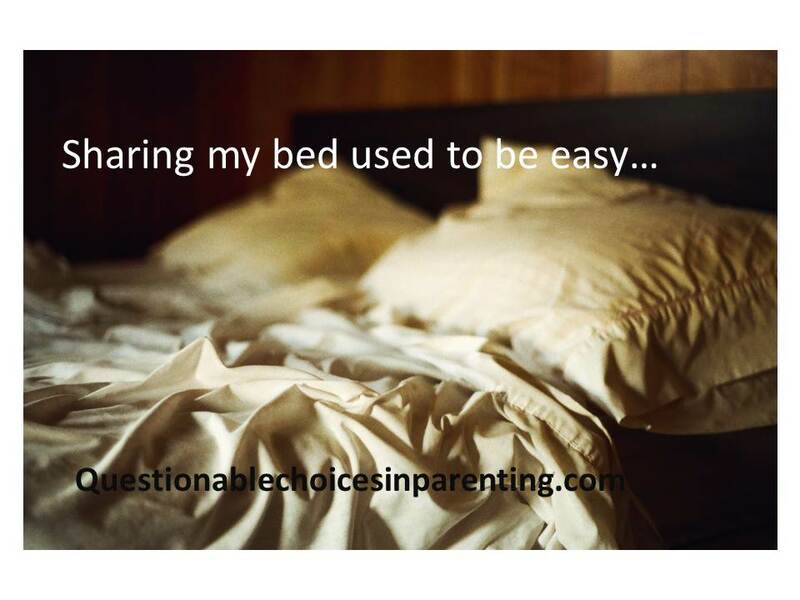 I’m not big on co-sleeping because I really hate sharing my sleeping space with anyone. If Hubby tries to wrap an arm around me, he usually gets an elbow to the gut as a warning shot. Your space and my space, buddy. Don’t cross the line. Mimi takes after me and has no interest in an all-night snuggle fest. She has a precise system of sleep that she doesn’t want interrupted. If we play our cards right and get her system down, we don’t hear from her for 12-13 blissful, sleeping hours. So when I had an itchin’ for some baby love, I knew Monkey was my man. I envisioned snuggling with him all night and breathing the sweet smell of his head (don’t act like you don’t love the smell of your kid’s head) and being lulled to sleep by the sounds of his soft snores. Ahhhh bliss…. Silly me, I forgot this kid is the WORST person to share a bed with. 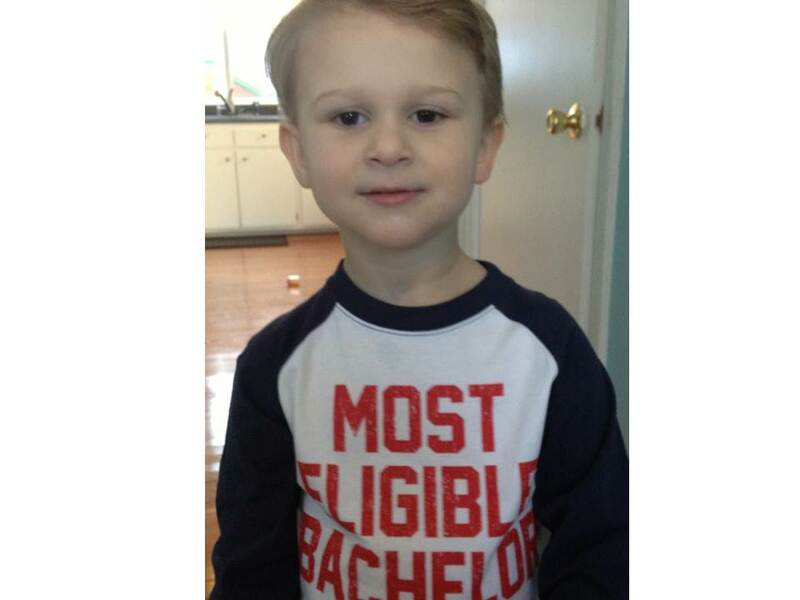 First, I couldn’t get the kid to settle down. He was like a crack-head all jazzed up and ready to party. He spent a good half hour practicing his forward rolls over and over in my bed. Then he started singing a rousing rendition of the ABCs while jumping up and down, and it wasn’t until I bear hugged the kid into submission did he simmer down. When the sleeper-hold I had him in finally put him down for the night, I realized it was only 7:30 and I really needed to pee. But Monkey rolled over and wrapped his arms in a death grip around my neck. I tried to sneak away, but he pulled me back. I tried to unwrap his limbs from me, but he squeezed harder. Finally I just resigned to snuggle down even though I was wide awake and praying I didn’t pee the bed. I’m not sure, but I think the kid might be part furnace because heat just seeps off of him at night and sends me into hot flashes that make me wonder if early menopause has struck. The only way I got out of his death grip hold on my neck was my perfuse sweating that gave me enough slide to wiggle out of his clutches. He also talks in his sleep; actually it is more like ramblings of a man who has lost his mind. At one point he said “I just want to dance to the doorbell. We have to get to our rocket ship.” Then he would just burst into giggles, fart and roll over. What the hell is going on with this kid? When I would catch a few winks of sleep, I would wake with his hard head pushing into my shoulder-blade or a quick jab of his toes into my kidneys. Since I clocked about two hours of solid sleep that night, I prayed the Sleep Gods would take pity on my, but oh no, they laughed in my face and Mr. Hot-Crazy-Talker was up bright and early ready to talk about buffalos being brown and having four legs. Oh listen to that, Rip Van Winkle is up in her crib and demanding milk and Doc Mc Stuffins. Someone pass the coffee, cause this is going to be a loooonnnngggg day. Totally CANNOT (and will not) sleep with my kids…EVER!!! They roll around, talk, grind their teeth, and fart all over the place!!! Sometimes I wish I could do it but 5 minutes in I am all “get back in your own bed!! !” Hope you got some sleep the rest of the week! It sounds like a good idea at first, right? Never again! They have their bed and I have mine for a reason!